Real estate escalation clauses have proven, time and time again, that their inclusion in an offer letter can greatly tip the scale in favor of buyers. Escalation clauses are, after all, a relatively simple way to stack the deck in favor of savvy investors. It is worth noting, however, that anything less than a meticulously calculated escalation clause can actually do more harm than good. That said, investors must be absolutely certain that the real estate escalation clause language contained in their offer is well-crafted, deliberate and efficient. If for nothing else, it’s the manner in which the real estate escalation clause is conveyed that will determine its efficacy. It’s quite simple really; the better the real estate escalation clause language, the better the chances are of landing the deal. As their names suggest, escalation clauses award prospective buyers the ability to escalate their offers in the event a subsequent, higher offer is submitted in the interim. Otherwise known as escalator clauses, escalation clauses are essentially offer contract addenda indicating that a buyer is willing and able to increase their original offer if necessary. 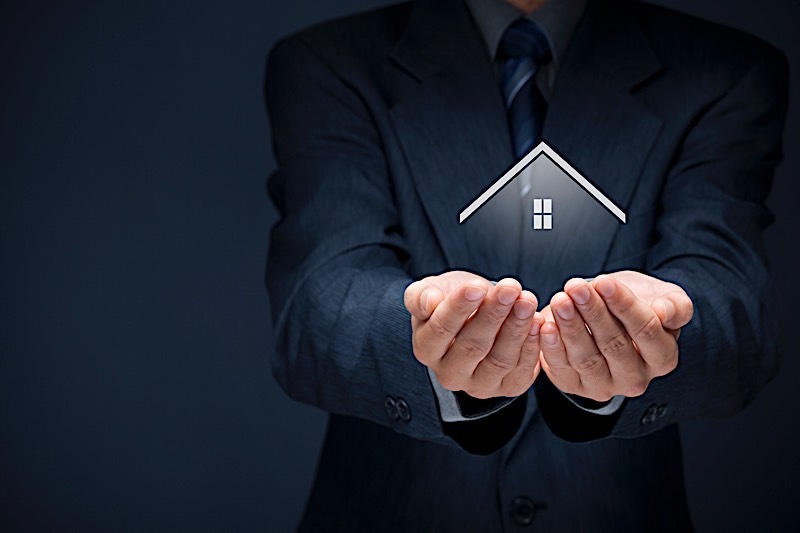 In their simplest form, however, escalation clauses are nothing more than a safety net; a last-ditch effort on behalf of buyers to remain relevant in the eyes of a seller. Often included in a buyer’s offer, real estate escalation clause language is specifically designed to convey a simple message: that a buyer is willing to offer more in the event someone else beats their initial offer. It is worth noting, however, that real estate escalation clause language is typically very specific. Not only will a good escalation clause identify a buyer’s willingness to pay more, but it will also clarify exactly how much they are willing to beat the subsequent offer by, up to a predetermined amount — as not to exceed the buyer’s maximum allowable offer. For example, Buyer A submits a $100,000 offer on a home with an escalation clause of $2,000 and a cap of $120,000. Soon after Buyer A submits their offer, Buyer B submits a slightly higher offer — let’s say $105,000. Since Buyer A’s offer is lower than the second offer, the escalation clause in the first offer will immediately go into effect. And since Buyer A’s escalation clause specifically stated they are willing to beat out any additional offers by $2,000, Buyer A’s new offer is automatically increased to $107,000 (the competitor’s offer plus an additional $2,000). This escalation, of course, will continue until the offer amount reaches the escalation clause cap set by the buyer enacting it. That way, the escalation clause will incrementally beat out any subsequent offers. Of course, all of this is contingent on the seller accepting the escalation clause in the first place. If for nothing else, a seller doesn’t have to accept the inclusion of an escalation offer. The language of the escalation clause is just as important as the addendum itself, if not more so. If for nothing else, a poorly worded escalation clause can actually do more harm than good. Prospective buyers will need to be absolutely certain that their own escalation clauses get a specific and deliberate point across. To do so, you must include some key components, or verbiage — if you will. Remember, how you say it is just as important as what you say. Escalation clause language to include in your offer letter is nothing if not specific. That said, it’s in your best interest to rid your own escalation clause of any ambiguity. It should answer more questions than it asks; quite honestly, it shouldn’t leave sellers with any questions at all. For starters, the language of your escalation clause should state that it will only go into effect in the event a legitimate subsequent offer is made. That is to say, your willingness to beat out an additional offer is predicated only on the fact that a bona fide offer threatens to beat out your previous one. That’s an important distinction to make, as buyers won’t want to see their offers increase in the face of illegitimate contenders. Moreover, proper real estate escalation clause language needs to specify the amount a buyer is willing to beat out subsequent offers by, and how much they are willing to cap out at — this can’t be underestimated. The language in a respective escalation clause must clarify specify amounts. While adding an escalation clause to your offer may seem like a simple step, be sure to consult an attorney that specializes in real estate contracts. They will see to it that your own escalation clause contains all the language necessary to complete the perfect offer. You Don’t Expect A Lot Of Competition: Real estate escalation clauses are best left for properties you would expect to generate a lot of attention. If for nothing else, these clauses were born out of a competitive market place. Not every home is going to have several buyers competing over it. If you find yourself looking at a property that doesn’t have a lot of competition, it may be in your best interest to avoid using an escalation clause. That way, you won’t have to identify the highest amount you are willing to spend, and therefore negotiate a better deal. In neglecting to use an escalator clause, you are more likely to have leverage in the negotiation game. There Isn’t A Lot Of Wiggle Room: Investing in real estate is contingent on the idea of buying a property at a discount; so that you may sell it for more of a profit on the backend of a deal. The cheaper you are able to acquire a deal for, the better your bottom line. However, some homes can’t even be purchased at a discount, especially in today’s competitive environment. That said, you’ll want to avoid using an escalation clause if the profit margins are too slim to begin with. If you aren’t careful, an escalation clause could have you spending a lot more on a property than you should have. The Buyer Isn’t Interested: It is entirely possible that the home you are looking to buy is owned by someone that isn’t interested in entertaining an escalation clause. While some sellers would live the inclusion of an escalation clause, others would rather have buyers submit exactly what they want to pay; they like the idea of buyers trying to outbid each other on the first try. If that’s the cause, it’s in your best interest to avoid using one altogether. The real estate escalation clause language you choose to include in your next offer could very well beat out the competition. It is worth noting, however, that the more specific you are, the better. A vague clause could actually hurt your chances, so be sure to mind due diligence. Above all, consult a real estate attorney to insure that your escalation clause spells out exactly what you want to happen. Think of an escalation clause as an amendment to an offer; it’s a slight change that could potentially move your offer into contention. Knowing when to use an escalation clause is just as important as knowing how to use one. The real estate escalation clause language you choose to include in your next offer could mean the difference between landing the deal of your dreams or walking away empty handed.